Please take a minute to look at our outdoor fireplace design gallery. We have undertaken a variety of different types of outdoor fireplaces in natural stone, stone pavers and brick. Our quality remains high on any project large or small. 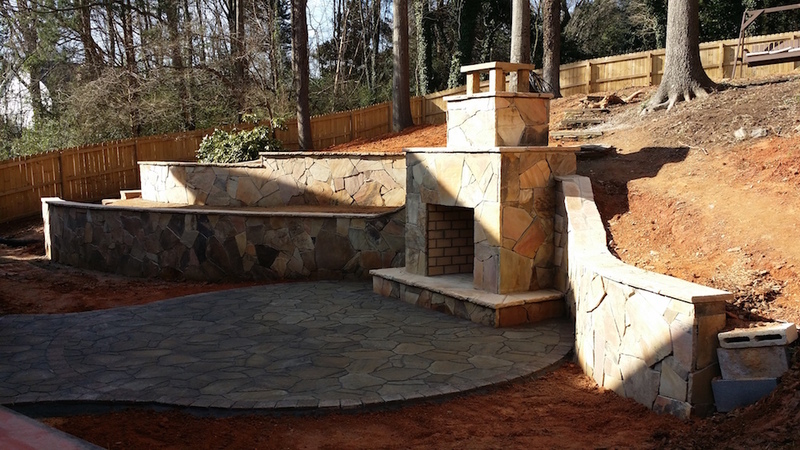 A recent outdoor fireplace in Charlotte, NC.